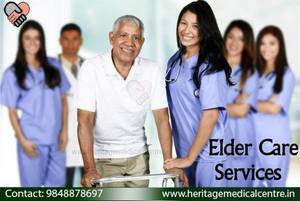 Heritage medical centre offers exclusive home health care services to your elders in Hyderabad. Our well experienced and qualified nursing staff not only does regular health checkups but are also trained to take care of medical emergencies. We also offer Physiotherapy services for needy people by our skilled and professional physiotherapists.